Boat-hopping along the Amalfi Coast, you’ll get the best views of its stunning cities, not visible from the road. Enjoy an authentic limoncello tasting at a farm perched above Amalfi town. This spot is little-known so your group will likely be alone. 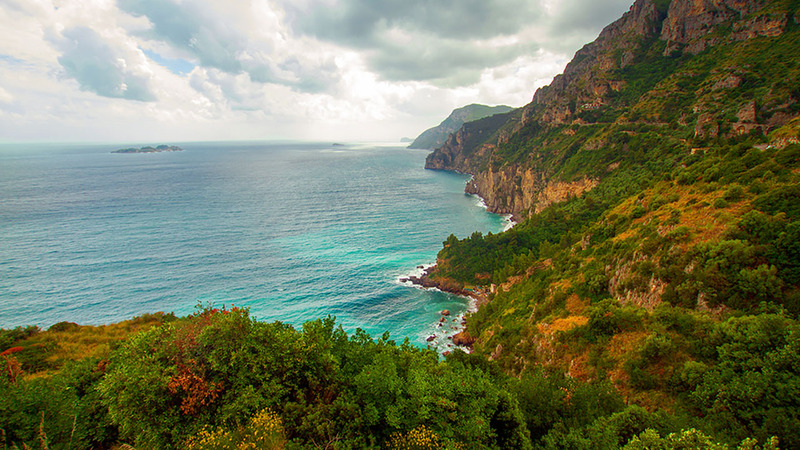 This Amalfi Coast tour from Rome travels by express train giving you 7 hours on the Amalfi Coast, cruising the waters and stopping in iconic towns to wander, eat, shop & swim. Most Amalfi Coast tours from Rome stick to the roads, seeing the crystal-clear waters of the coastline from above but hardly glimpsing its cliffside towns at all. But this tour is different: we let you see the coast by air and water for the most complete experience possible. 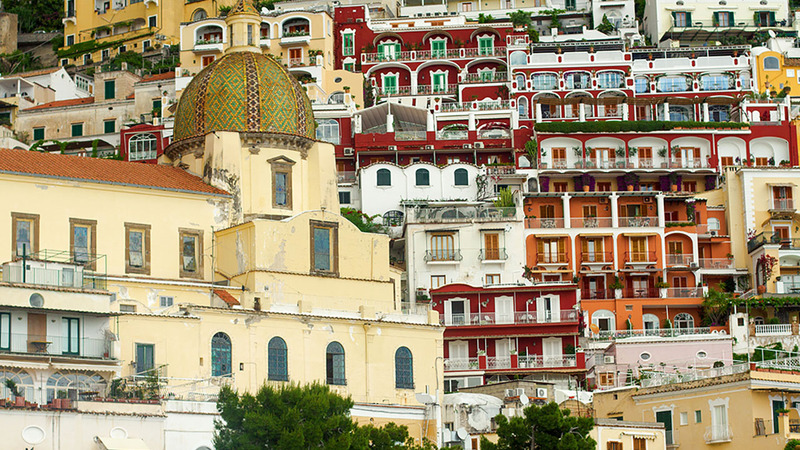 Touring the Amalfi Coast by boat, you’ll have perfect views of the coastline’s most famous asset: Its colorful towns. 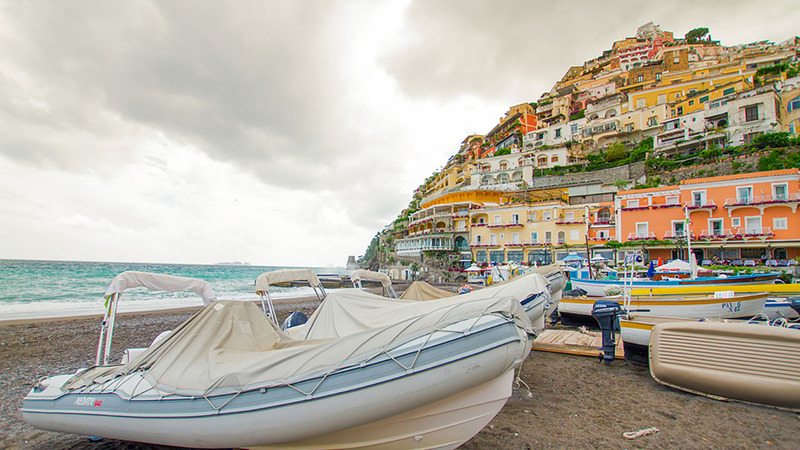 You’ll also get out and about, wandering the streets of Positano and shopping for sandals, eating lunch on the beach and splashing around the water. Then in Amalfi town, you'll climb to the top of the town for an authentic limoncello tasting on a hidden farm. Carefully balancing the value of a guided tour with time alone to explore and shop, our Amalfi Coast tours from Rome offer you the perfect day in paradise without the hassle of organizing your own trains, cars and boats. Your Amalfi Coast tour from Rome meets early in the morning at Termini train station, where your (fun & fluent) English-speaking guide will join you for the short journey by high-speed train. In just 70 minutes you’ll be in Naples, where you’ll hop on a private bus and enjoy one of the most scenic drives in the world. After stopping at some scenic overlooks for pictures, you'll disembark right in Positano town and enjoy a brief introductory tour then have two hours to explore, eat, shop, or just sit on the famous beach. After lunch, your Amalfi Coast tour from Rome reconvenes aboard a small boat for the 30-minute ride to Amalfi Town. Sit back and watch as colorful coastal towns bob past. And don’t forget your sunglasses – between Amalfi’s blue skies and crystal waters, it can be pretty blinding! 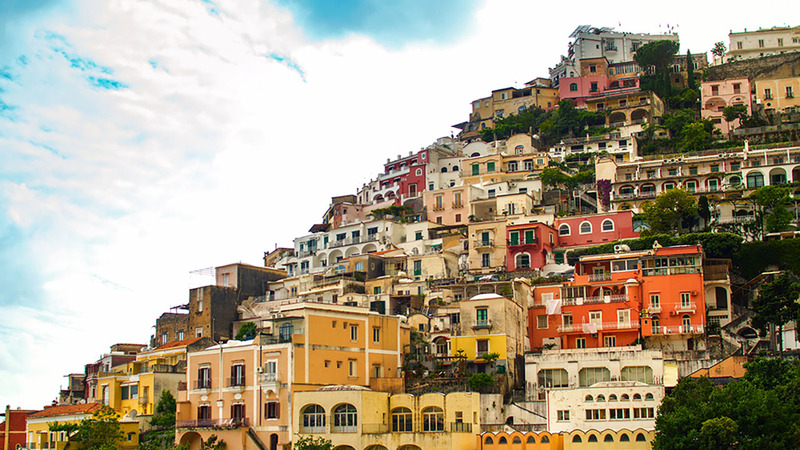 Climb ashore at picturesque Amalfi town and follow your guide uphill to a hidden lemon orchard. There’s a table reserved for us here, on the edge of the property overlooking Amalfi Town, the beach and the sea below. Here you’ll sample limoncello and some traditional Amalfi Coast snacks, like lemon cookies or cake. 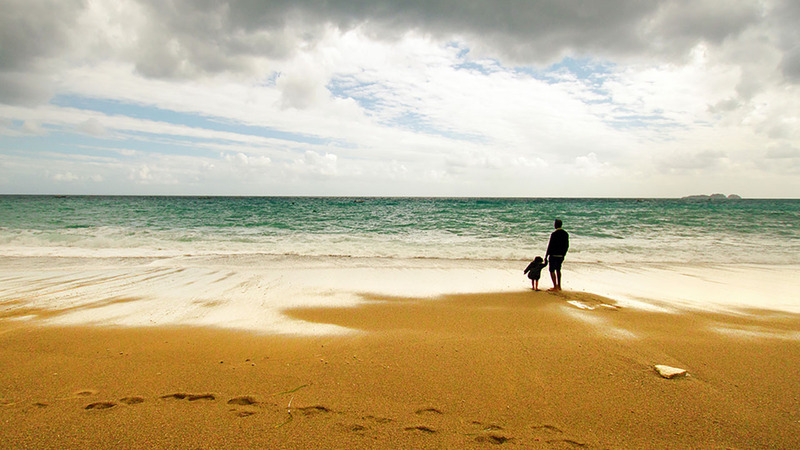 Afterwards you’ll have free time to shop, wander or take a dip in the sea. Don’t forget your swimsuit! As the evening draws in you’ll meet your guide and board the boat once again for the 40-minute boat ride to Salerno, where you’ll board a train back to Rome. Arriving back in the city around 8.40PM, you’re just in time for dinner! Guilo was s wonderful guide. Very informative. The tour itself was amazing. The amalfi cost was breathtaking. Would definitely recommend this tour. Amazing tour with a great guide, Luca! Had plenty of time to walk around the two towns even if the rain prevented us from visiting the farm. Luca was so knowledgeable and helpful! Would highly recommend this tour! Our guide Anna was terrific. We had lots of spare time at all of our stops. Everything ran like a swiss watch. Train on time, little motor coach on time, ferries on time. I wish we could have spent more time at the orchard. It would have been delightful to actually see how they were cut off the vine and transported down the hill for processing. Anna made the really long day delightful! Luca was a wonderful guide and provided us with a most enjoyable day. I would recommend this excursion even without the limoncello tasting. Don’t forget to pack your swimsuit! Swimming is possible during free time on this tour. Please note that there are aprox 180-200 steps to climb to reach the lemon farm (you can opt for free time in Amalfi Coast instead). If weather conditions doesn't permit the visit we will do a limoncello tasting in Amalfi Town instead. As heavy rain might compromise security, boat rides might be cancelled if weather does not permit. If the boat doesn’t run due to weather conditions, we will travel by private car instead. Infants (over 36 months) need to book the child ticket price.